Governor Inslee: Spokane River needs you! Spokane – Advocates for the Spokane River are asking Gov. Jay Inslee to grant their petition for protecting all instream values of the Spokane River, including recreational boating opportunities. 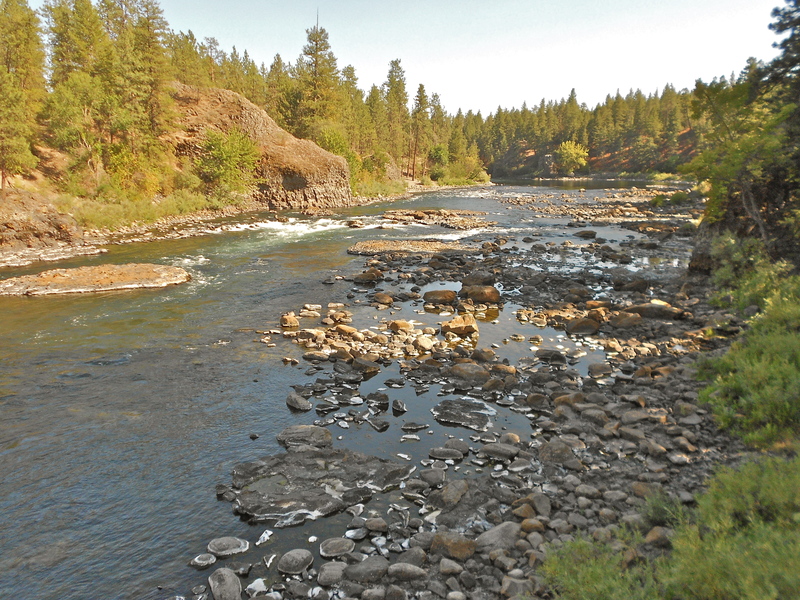 This is the next step in the citizens’ quest to protect Spokane River flows. A petition was filed in February with the Washington Department of Ecology (Ecology), and rejected by the agency in April. We would like to make it clear that our goal in bringing this appeal to you is to reach an amicable agreement with Ecology to amend the Spokane River Instream Flow rule in a manner that takes into account and protects aesthetic and recreational values, while also protecting fish habitat. While we are simultaneously appealing Ecology’s decision to Thurston County Superior Court, we are required to do so to preserve our appeal rights pursuant to the Washington Administrative Procedure Act. Our hope is that you will be willing to resolve the issues raised in our appeal without the need for protracted litigation. 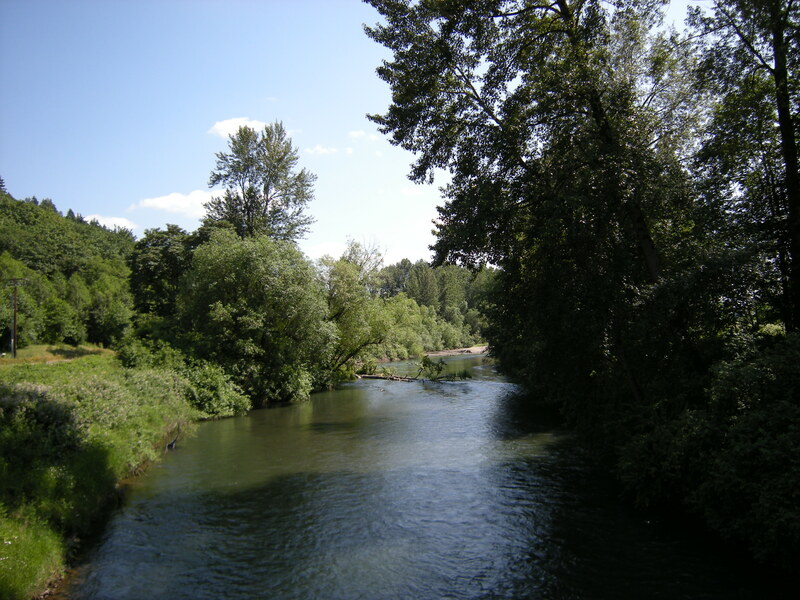 We are asking that you direct the Department of Ecology to re-open the Spokane River Instream Flow Rule and reassess the minimum summer flows that are needed to protect and preserve recreational and aesthetic uses of the river. Because the Petitioners and Ecology agree that higher flows than those protected in the existing rule will not harm the fish, we believe that a mutually agreeable resolution is possible that is best for the Spokane River. The Spokane River is a beloved urban river that flows through the second-largest city in Washington State, including spectacular waterfalls and a deep gorge. Conservationists seek a minimum summertime flow of 1,800 – 2,800 cubic feet per second (cfs) to support fisheries and recreation, and protect higher flows for recreation when available. Ecology set river flows at 850 cfs, far below typical summer low flows. This rule could effectively make every year a drought year for the Spokane River. Nearly 2,000 comments, including boater surveys and scenic photographs, were submitted to Ecology during the public comment period on the draft rule. The state agency ignored overwhelming public support for protecting Spokane River flows and adopted low river flows that jeopardize the Spokane River and public uses. The case has statewide significance because Ecology excluded recreation and outdoor recreation-based jobs from its analysis in setting river flows. Annual economic contributions of outdoor recreation to Washington’s economy are about $20.5 billion, supporting nearly 200,000 jobs. 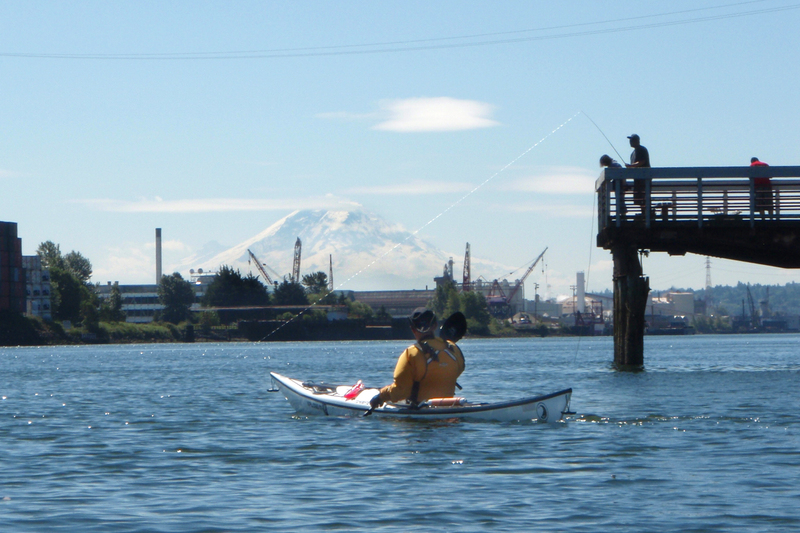 Washington’s natural resources should be managed to support outdoor recreation. The governor has 45 days to respond to the citizens’ petition. Petitioners are Sierra Club, CELP, and American Whitewater, and are represented by attorneys Andrea Rodgers (Western Environmental Law Center) and Dan Von Seggern (Center for Environmental Law & Policy). I didn’t mean to fall in love with the Green River. It just happened. It just grew like Topsy. My first (and greatest) love of the Natural World was the Pacific Ocean, and its beaches. Then I realized I was in love with any water body I could swim in. I always had a swimsuit with me if there was any chance I might go near some kind of a swimming hole. I really didn’t discover rivers until I went to Girl Scout camp at 12. We did a multi-day hike on the Dosewallips. We swam in the river and nearly froze our toes, and it was beautiful and I was in love with the Dosewallips and rivers everywhere. So it was inevitable when someone aimed me at a river canoe, that I would get in it and try paddling. And, I guess it was inevitable when I was told to choose my favorite Washington river at a State Rivers Conference in the 1980’s I would choose the Green. It is the color of my eyes, after all, and I had to choose something. All those at the Conference who chose the Green (even if their eyes weren’t), were sent to one corner and told that our task was to form a Green River group which would then work on protecting our chosen River. There must have been other fanatics in our Group, because we did just that: we formed Friends of the Green River and started raising money and incorporating a non-profit. And the more I did for the Green, the more I fell in love with it. The others in that group all knew each other and they taught me a lot. They were river boaters and had already formed a group called the Silly Willys Rafting Club. And we all loved the Green. The Green River has a secret that gets many people hooked on it. Part of it is hidden in a deep, quiet gorge that’s almost inaccessible except by boat. Boaters come from all over the world to boat the Green River Gorge. It’s untrammeled, pristine, gorgeously draped in damp green mosses and ferns – a fantasy, watery, world of Green. But, the Green River has 2 dams on it. The Corps of Engineers built a dam for flood control in the middle of the 20th Century. Tacoma had built a smaller dam downstream of the Corps dam on the Green in the early years of the 20th Century to form a pool to hold the water and decrease turbidity before piping the Green’s water to municipal customers in Pierce County. Those dams meant problems for the ecology of the Green, and for recreational boaters. They were threats to the salmon and steelhead runs of the Green River; there was no fish passage for either dam. Tacoma had gotten water rights for an additional 100 cubic feet per second (cfs) (approximately) of Green River water in the 1960s, on top of approximately 100 cfs that they had gotten in the early 20th Century. By the 1980s, Tacoma had developed plans to build a new water supply pipeline through south King County rather than directly to Pierce County and Tacoma, because they wanted to sell some of that water to the water districts and towns in south King County along the way. Friends of the Green River (FOG) had been created to protect the Green and its watershed, including not allowing more water to be taken from the Green. FOG appealed King County granting Tacoma the permits to build the new Pipeline through King County where it would cross a number of streams, wetlands, etc.We didn’t have much money, although we had been doing fundraising for several years. The FOG board needed help. We had support from Washington Kayak Club, WA Recreational River Runners, Paddle Trails Canoe Club, and other river boaters. Fran Troje got the Mountaineers involved. Tom O’Keefe and American Whitewater got on board. We especially needed legal help. Rachael Paschal and CELP helped us. Rachael wrote our 1st set of pleadings and advised us through the whole process. She found FOG an attorney, David Hall, who gave us a price-break, and was instrumental in getting us to the finish line. We also had help from Joan Thomas of WA Environmental Council, who had been through this many times before. For strategic reasons, We eventually decided that FOG needed to negotiate with Tacoma and we settled on an Agreement in 1995 that gave us a number of things that could help the Green River, its habitat, its salmon and perhaps even its white water boaters. FOG’s board changed over the years, and our current board members who have been so instrumental in our successes have been on the board for a long time. They include Tom O’Keefe, Gil and Marlene Bortleson, Dara Kessler Mueller, and Jay Cohen, Boaters All and lovers of the Green River. But the work continues. The FOG board is now negotiating changes in the Tacoma-FOG Agreement of 1995. Friends of the Green River is ever vigilant, and trying to come up with new ideas to protect the Green River. We could always use more help, so let us know if you are interested. And remember, it takes a community to care for a river and its watershed. And a lot of people who love that river.